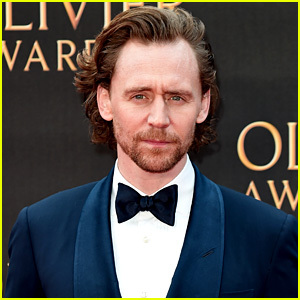 Tom Hiddleston is looking sharp! 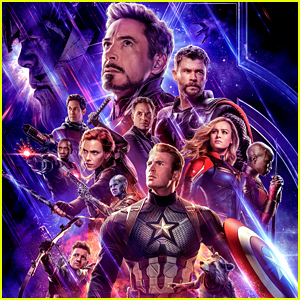 The 38-year-old Avengers: Endgame actor hit the red carpet at the 2019 Olivier Awards at the Royal Albert Hall on Sunday (April 7) in London, United Kingdom. Tom was a presenter during the evening’s ceremony, and also posed with Best Actress award winner Patsy Ferran and presenters and co-stars Zawe Ashton and Charlie Cox. Earlier in the week, Tom and Charlie joined Zawe at her Character Breakdown book launch held at Wild By Tart. The three star in Betrayal at the Harold Pinter Theatre, which follows a seven-year extramarital affair between two characters. FYI: Tom is wearing Ralph Lauren Purple Label. Brooklyn Beckham happily strikes a pose alongside his girlfriend Hana Cross while attending the Pat McGrath x Selfridges: A Technicolour Odyssey Launch Party held at Selfridges on Thursday (April 4) in London, England. 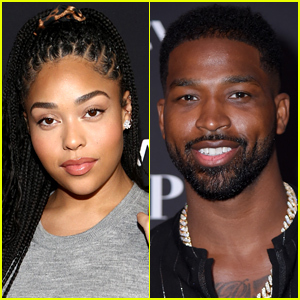 The 20-year-old son of Victoria and David Beckham and his model girlfriend were joined at the event by If Beale Street Could Talk star Kiki Layne, Velvet Buzzsaw‘s Zawe Ashton, singers Lily Allen and Charli XCX, Bright‘s Noomi Rapace, Idris Elba‘s fiancee Sabrina Dhowre, and The Goldbergs‘ Rowan Blanchard. Also in attendance to show their support for the make-up launch was activist Munroe Bergdorf, and models Elsa Hosk, Shanina Shaik, Stella Maxwell, Selah Marley, Ella Balinska, Maria Borges and Clara Paget. FYI: KiKi is wearing a kate spade new york outfit and jewelry. Tom Hiddleston is all smiles as he poses alongside Zawe Ashton at her “Character Breakdown by Zawe Ashton” book launch held at Wild By Tart on Wednesday (April 3) in Lonon, England. The co-stars were also joined by Charlie Cox who is starring in the play Betrayal with them at the Harold Pinter Theatre. Betrayal follows a seven-year extramarital affair between two characters, Emma and Jerry, with the latter character being Emma’s husband Robert’s friend – The piece will run until 8 June. Also in attendance to show their support at the book launch were Emeli Sandé and Clara Paget. Character Breakdown is Zawe‘s debut book, and has been described as an experimental memoir about the effects of character creation – and destruction – on actors. FYI: Zawe is wearing an orange trouser suit by ROKSANDA. Tom Hiddleston, Zawe Ashton, and Charlie Cox pose together at the Press Night Party for Betrayal on Wednesday night (March 12) at The Cafe In The Crypt, St Martin-in-the-Fields in London, England. The actors stepped out in style to celebrate their new play after its opening night. Betrayal follows an extramarital affair between Emma (Ashton) and Jerry (Cox), who is the best friend of Emma’s husband Robert (Hiddleston), which is examined in backwards chronology. The play runs at the Harold Pinter Theatre in London through June 1 – you can get tickets here. Jake Gyllenhaal, Tom Sturridge, and Billy Magnussen are all smiles at the Los Angeles premiere screening of their new film Velvet Buzzsaw! The co-stars stepped out for the event held at American Cinematheque’s Egyptian Theatre on Monday (January 28) in Hollywood. They were joined by their other castmates Natalia Dyer, Zawe Ashton, Daveed Diggs, Mike Ostroski, Rene Russo, director Dan Gilroy, and producer Jennifer Fox. Natalia‘s Stranger Things co-star and real-life boyfriend Charlie Heaton, Tyler Blackburn, Scott Stuber, David Dastmalchian, Brett Dalton, Zach McGowan, Stephen Boss, Baby Ariel, Allison Holker, Kate Flannery, and Alisha Marie were also there to show their support. Jake and his co-stars also premiered the film at the 2019 Sundance Film Festival the day before. In Velvet Buzzsaw, after a series of paintings by an unknown artist are discovered, a supernatural force enacts revenge on those who have allowed their greed to get in the way of art. Don’t miss it when it hits select theaters and Netflix on February 1! FYI: Jake is wearing an Acne Studios suit. Natalia is wearing Oscar de la Renta with Christian Louboutin shoes and Cartier jewelry. Charlie is wearing Dior Men. Zawe is wearing Roksanda. Jake Gyllenhaal hits the red carpet at the premiere of Velvet Buzzsaw at the 2019 Sundance Film Festival on Sunday night (January 27) at the Eccles Center Theatre in Park City, Utah. 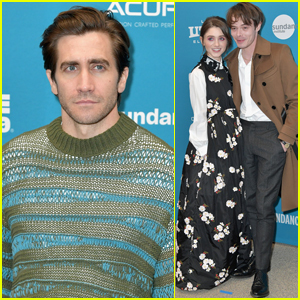 The 38-year-old actor stayed warm in a green and blue striped sweater as he was joined at the premiere by his co-star Natalia Dyer and her boyfriend Charlie Heaton. Other cast mates at the premiere included Billy Magnussen, Tom Sturridge, Zawe Ashton, and Rene Russo. The movie will debut on Netflix on February 1 – check out the trailer here! FYI: Jake is wearing an Acne Studios knit. Natalia is wearing a dress and shirt by Moncler x Simone Rocha and Dior boots. Zawe is wearing a Roksanda coat, dress, and boots.